One in 30 Trips End in a Medical Emergency or Safety Concern. You can buy peace of mind. It’s called a Medjet Membership. 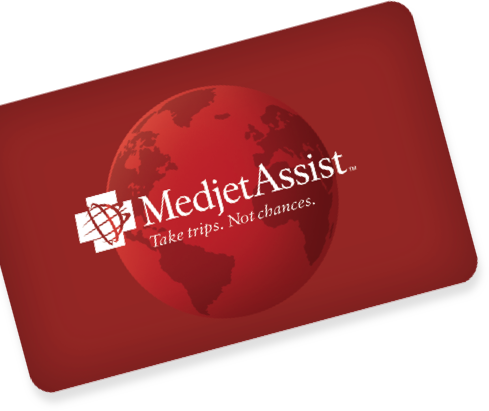 Medjet is the premier global air medical transport and travel security membership program for travelers. One in 30 trips end in a medical emergency, and safety while traveling has become a growing concern. Protect yourself with Medjet. Accidents, illness and safety concerns can happen anywhere. Medjet can get you home. Millions more while traveling domestically. Ranging from $30,000 to $180,000 in costs that their health insurance, travel insurance and platinum card benefits may not cover. One Trusted Name. Two Membership Options. Because we take trips. Not chances. As a MedjetAssist Member, if you become hospitalized internationally or domestically - 150 miles or more from home - Medjet will arrange medical transportation to a home-country hospital of your choice for inpatient care. All you pay is your membership fee. With medical transport costs ranging from $30,000 to over $180,000, why risk it? 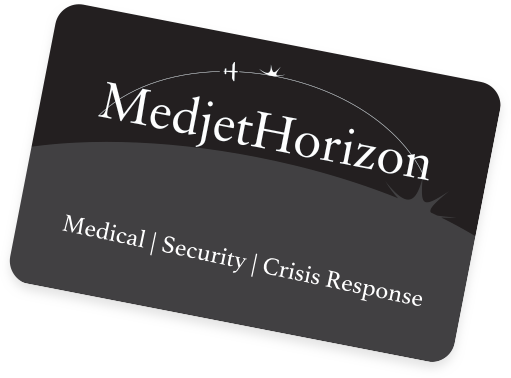 MedjetHorizon includes all the medical benefits of a MedjetAssist Membership, plus worldwide travel security, crisis response and evacuation services powered by FocusPoint International. Terrorism, kidnapping, natural disaster, violent crime and other safety concerns are sadly a growing reality for today’s traveler. Travel safer, and travel protected, with a MedjetHorizon membership. We say yes. When others say no. We’re not insurance. We’re better. Arranges medical transfer for the member regardless of medical necessity. Allows the member to determine to which medical facility to be moved. Arranges medical transfers in the United States as well as internationally. Does not require government issued “hard trigger” to initiate security response. Real Member Stories. 5-Star Reviews. and we are still the best. Your MDVIP discounts have been automatically set throughout the site.